We’ve officially been up and running since September 11th. So far we’ve only had 4 partial indoor days. These days were due to the nasty combination of rain and cold that hit us so hard in September. Even though winter arrived Oct. 31st, with our forest classroom being down in the river valley we have been able to stay outside every day. We are certain that the temperature is a couple of degrees warmer down in the forest class where we are protected from the wind. The average child spends 4 hours/ week outdoors playing. Our students spend 6 hours/ week learning outdoors. We can assume that they also spend the additional 4 hours/ week outdoors; but just to err on the safe side we will give them an additional 2 hours/ week non-school time spent outside playing. That’s a total of 8 hours/ week that our students spend connecting with nature instead of screens. That’s TWICE as much as the average child. 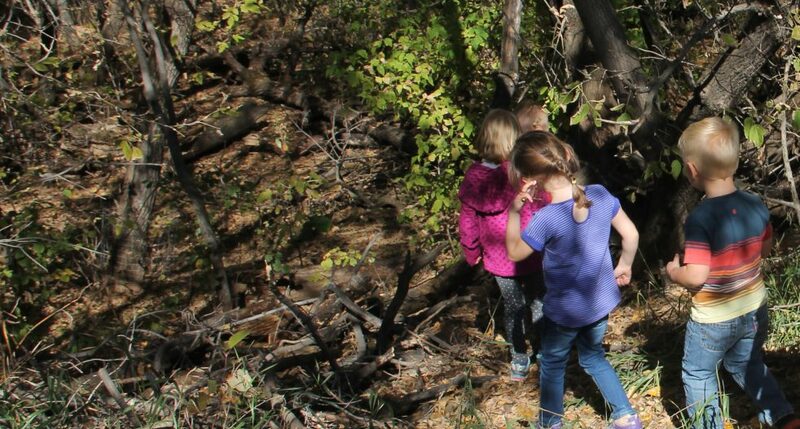 Children + Time spent in nature = Happier, healthier children. Nature Nuts is now full! Send us an email to be placed on the waitlist or check out our other great programs under the preschool tab.